There are currently 93,421 users on this website. Was looking at my coin collection and somehow ended up on line looking at banknotes. 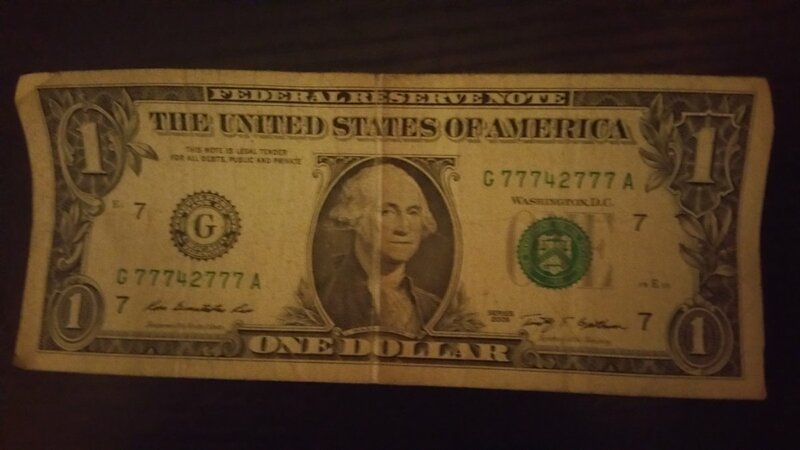 This has been in my wallet for three years waiting to play dollar poker like when I was a kid. Poor shape. Any value. Bookends match federal Reserve. Check out the how to grade on their site.